What a hoot this was! I loved getting the responses to the creativity challenge I issued. Thanks so much to Lynn, Frances, and Virginia for playing! Here is the response I was sent by Lynn. For more information about her entry (and just to read some fun blogging!) check out Lynn's blog. 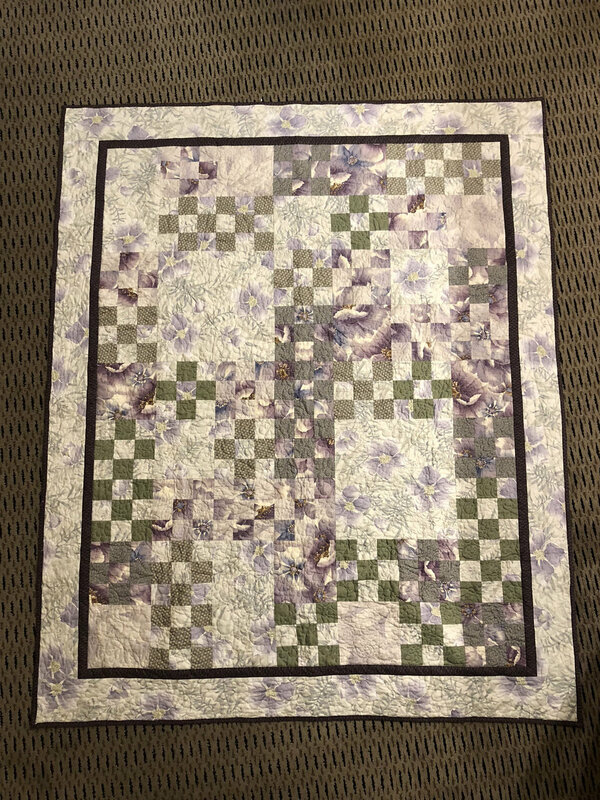 I really like the way Lynn used her quilting to represent the water marks on the side of the barge, and the emphasis on the shadow as a vertical line amidst all the horizontal/diagonal going on. The saturated colors really bring almost a mysterious mood to the piece for me as well--reminiscent of the mysteriousness of the man's shadow on the side of the barge. Love it! I like the gravel background! But seriously, I love how Frances interpreted the colors of the piece into fabric, and the "wateriness" of the shadow itself, being interrupted by other fabric. She also played with contrast of value in hers by using a pretty wide range of fabrics. Really cool stuff. And now for something completely different. 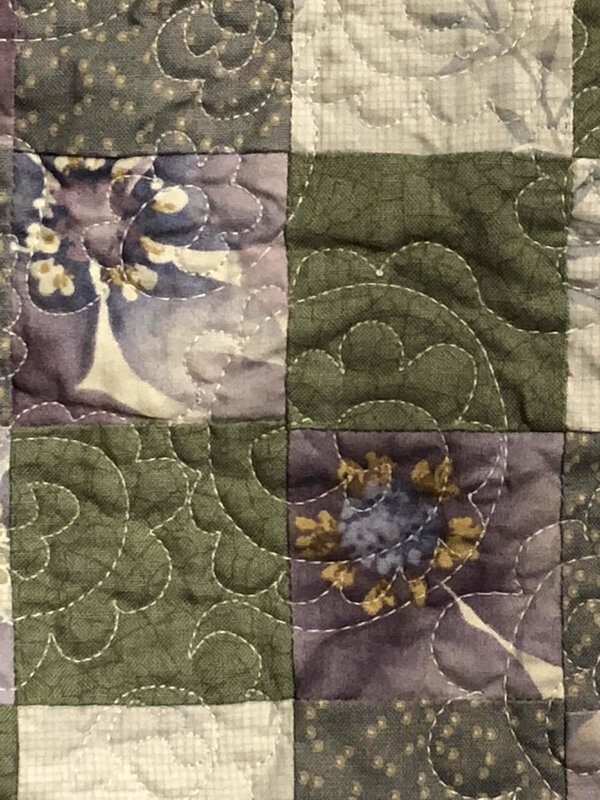 Virginia's inspiration from the photo played out in a traditional pieced block and I love it. Virginia played off the yellow/orange in the photo and used that to pull coordinating colors from her stash. 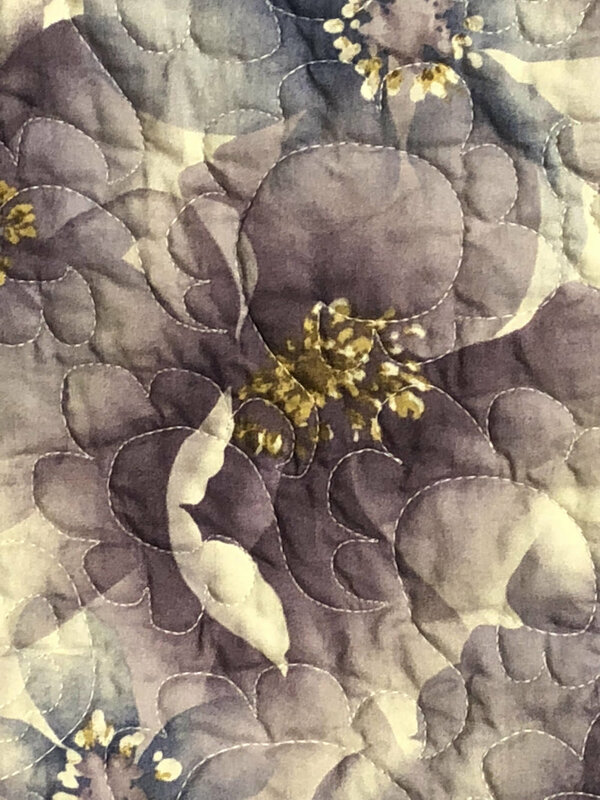 Many of the fabrics are batiks, which also are a bit reminiscent of the watery feel to me as well, plus the borders relate for me to the steel/metal of the barge in the original photo. I also like that Virginia was able to pull out the diagonals from the original photo into a block that's diagonal. Really, really cool stuff. Love all of them! It's just so much fun to see how different people get inspiration from the same photo. Now, here's mine (also very different). I continued my experiments with Lutradur and photo printing on fabric in this piece. I won't say much more about it--to hear about my process and why I did what I did, listen to the episode! I'll post again later today or tomorrow with the responses to the "debriefing" questions that I sent to the three responders. I asked them about their process and so forth. I've also got a new creativity challenge I'm issuing--stay posted!